There is no doubt, even among those who may not like him and his people, that Lt. Gen. Victor Malu was one of the best Chiefs of Army Staff the country has produced. 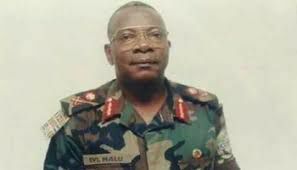 Even if the contingent of American Army that visited him while serving as the COAS between 1999 and 2001, which claimed it had the approval of the then President Olusegun Obasanjo to request for a very sensitive security document was a ploy, Gen. Malu did not fail. His vehement refusal to release the document showed he was a professional Soldier with the interest of the nation at heart. Gen. Malu did not show any sign that he was a "political Soldier" as some had shown and have continued to show. This is the spirit of an average Benue born, particularly of Tiv extraction. However, it appears such persons and their people are rather hunted for offering patriotic service to fatherland. It is too soon to forget that Gen. Malu's area was invaded by the Nigerian military after a deadly encounter with the civilians. That invasion claimed hundreds of lives and caused damages that 16 years after, the people are suffering the consequences. His home was destroyed by the very Army he led. Not even the over 40 billion Naira the court awarded as compensation for the people has been paid. Not even the 8 billion naira the Federal government negotiated out of court settlement has been released. General Malu, a product of the people who suffered this broad day light injustice won accolades for the country in far away nations. Yesterday, his brothers, Major Gideon Orkaa and Squadron Leader Asen Ahura who were undoubtedly among the best in their careers were executed. Yesterday again, Col. Joe Akaahan former COAS who led Nigeria during the civil war died mysteriously. Tears are flowing down the cheeks. And feelings are expecting apology before the gallant Soldier is lowered to the great beyond this Saturday. The compensation for his people should also be paid as soon possible for his bones to settle in the grave. The Udi invasion by the military has been settled as the people there have received compensation long time ago. Why not the Tiv people of Zaki Biam and environs?